Online Trading Academy Review 2019: Is Bigger Really Better? Some say size is everything. With Online Trading Academy – it’s taken to a whole new level. Back when it had 180 traders averaging half-a-billion dollars in transactions per day, its team had one goal in mind: make you a better trader. With specialists in equities, forex, futures, options and even wealth management, its products cover the market from all angles. But is there a course that’s right for you? In this Online Trading Academy Review, we’ll breakdown the company’s buffet of options and let you know which ones – if any – deserve your attention. ​Who is Online Trading Academy Best For? Online Trading Academy is an investment advisory service that’s offered professional, state-of-the-art training since 1997. With educational courses and on-site instruction, Online Trading Academy teaches Short Term Trading, Swing Trading, Position Trading, Investment Theory for Stocks, Exchange Traded Funds, Options, Futures and Currency strategies. Whether a novice or a professional trader, the team at Online Trading Academy can show you the same investment techniques used by professionals on Wall Street. With transparency in mind, the site also offers tuition rebates through its alliance partners and many of its classes offer retakes or lifetime access. And with over 15 lead instructors and 16 corporate executives running the show -- Online Trading Academy is one of the largest providers out there. With its large product offering, Online Trading Academy has something for everyone. Keep in mind though, before registering for any courses, you have to enroll in its free online investing workshop. The Free Investing Workshop is a half-day online webinar that teaches you how to generate income and grow wealth within financial markets. The course introduces you to Online Trading Academy’s product offering and helps you decide which service is right for you. As mentioned, the webinar is both free and required if you want to sign up for any of Online Trading Academy’s other courses. The Core Strategy Program outlines several strategies and approaches to profit within financial markets. The instructor team has spent decades perfecting Online Trading Academy’s core strategy. Within the offering, you have two options to choose from: Core Strategy: Professional Trader Course and XLT – Core Strategy. 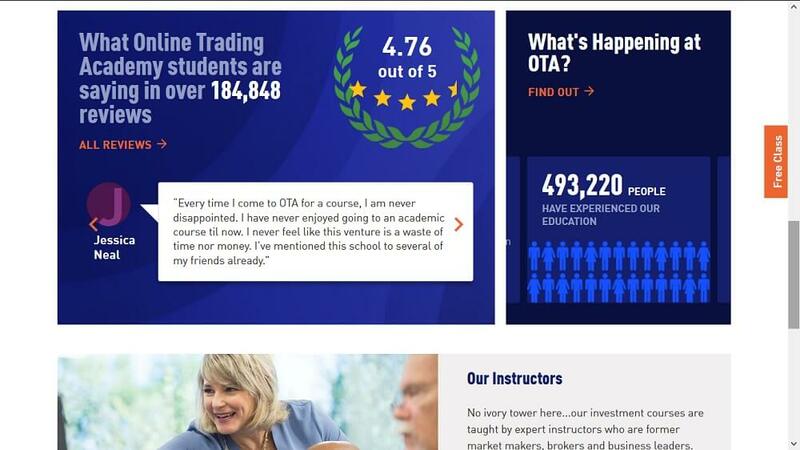 Taught over a seven day period, the Online Trading Academy Professional Trader Course costs $7,000. Throughout the course, instructors outline the skills and techniques you need to buy and sell ETF’s like a professional trader. The strategy teaches you about market turning points to help you stay on a winning track. So what else will you learn? ​​​​The course is taught by full-time traders, who either have previous capital market experience or who graduated from Online Trading Academy’s program in the past. The XLT - Core Strategy Course delivers three sessions per week where you trade in real-time with one of Online Trading Academy’s instructors. The course is designed to extend the educational theory taught in the Core Strategy Course and apply the tools in a real-life setting. Upon signing up, you also gain access to a weekly one-hour Learning Reinforcement Session where you can ask questions and discuss any challenges you’re facing. Keep in mind though, to sign up, you first need to complete the Professional Trader Course. So how much does the Online Trading Academy XLT Course cost? You have two options: you can pay $8,500 for the first three months with a $625 monthly fee thereafter. Or, you can pay $12,500 for the first three months and have the ability to retake the class for life. Like XLT - Core Strategy, Online Trading Academy offers plenty of other advanced courses. The training combines live in-market sessions with theory-based education to help you assess when assets are overbought and oversold. Note: All XLT Courses (except All Asset) have the same sign-up costs as XLT - Core Strategy above. As well, portions of the curriculum are taught on-site at Online Trading Academy Locations in Toronto, Boston, New York, Pennsylvania, North Carolina as well as many others. To qualify for the XLT - Stock Trading Course you have to complete the Professional Trader Course. The Stock Trading Course is designed as an advanced version of the Professional Trader Course. 40% of the material focuses on theory and education, while 60% of the course centers on trading within a live market environment. To enroll in the XLT – Forex Trading Course, you first need to complete the Professional Forex Trader Course ($5,000 cost). The XLT - Forex Trading Course allows you to choose your favorite currency pair while a trading expert teaches you the analytic and practical skills required to carve out a competitive edge in the currency market. Like the others, to enroll in the XLT - Options Trading Course you first need to complete the Professional Options Trader Course ($5,000 cost). Using advanced techniques, XLT - Options Trading shows you how national and economic news trigger profitable options trading opportunities. Instructors outline entry and exit points as well as teach how to diversify your positons and generate income at the same time. To sign up for the XLT - Futures Trading Couse you need to complete the Professional Futures Trader Course ($5,000 cost). The XLT - Futures Trading Course aims to take you into the minds of some of the best futures traders Online Trading Academy has to offer. Like the others, to enroll in the XLT - ProActive Course, you need to complete the ProActive Investor Course ($5,000). XLT - ProActive teaches advanced wealth management techniques so you can learn how to manage and grow your portfolio over the long-term. Like a total offering rolled into one, the XLT - All Asset Mastery Course provides the complete set of tools needed to trade Equities, Futures, Forex and Options under any market condition. The difference between this and the other XLT Courses above is prerequisites are a lot stricter. To enroll, you need to complete at least three XLT Courses, complete all the On-Location prerequisites and enroll in the Mastermind Community program. Joining the Mastermind Community is Online Trading Academy’s version of an elite membership. It costs $15,000 for the first year and $5,000 for each year thereafter. Or you can pay $25,000 in the first year and be a community member for life. As well, to be eligible, you need to complete at least three XLT Courses. So what comes with a Mastermind Community membership? What do we think about the Mastermind Community and Online Trading Academy’s other products? Well, for starters they’re really expensive. With packages starting at $5,000 it’s a large down payment for any trader to make. However, its prerequisite courses come with a 14 day money back guarantee which speaks to the credibility of the offering. By testing out the prerequisites first, you’ll have plenty of data to decide whether the XLT or Mastermind Community programs are right for you. Our advice is to give it only a try if you have the bankroll to do so. If your liquid assets are below $50,000 then you should stay away from Online Trading Academy. But first, contact Online Trading Academy so they can outline the details of the money back guarantee. The legal fine-print is kind of murky, so it’s best to air on the side of caution. In some cases money back guarantees are only valid as long you have not used any service. One login can make a money back guarantee to disappear. So if you consider investing that amount of money, make sure to spend some time talking to them and make sure that you do not speak with a sales representative but instead to a coach, teacher, and educator. 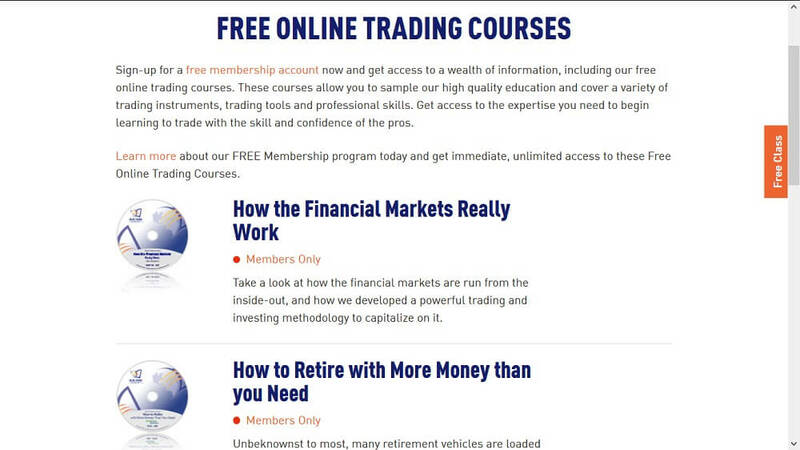 Unfortunately, Online Trading Academy does not offer a free trial for any of its products. However, it does offer a 14 day money back guarantee with its prerequisite courses. 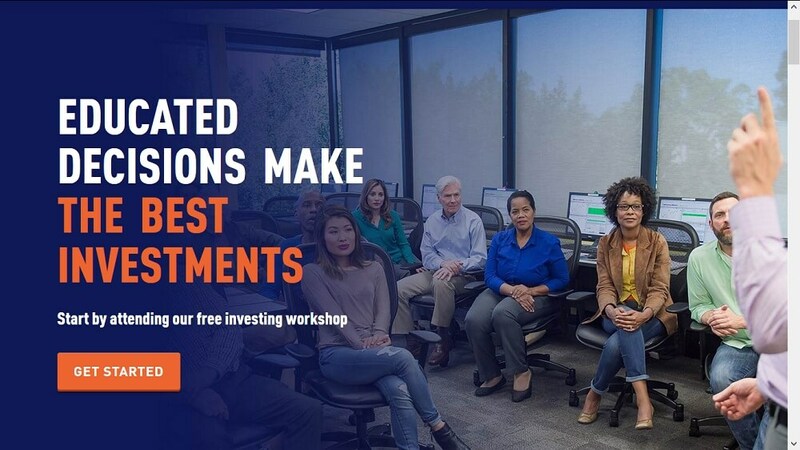 As well, the site offers a Free Investing Workshop that you must enroll in before you sign up for any of the other courses. You also have access to Online Trading Academy’s Free Online Trading Courses. As well, you can also sign-up for its free award winning newsletter. Free resources: ​Free Investing Workshop, Free Online Trading Courses, award winning newsletter. Without a doubt, Online Trading Academy has you covered from all angles. Its programs are best for anyone with a passion for financial markets and with sufficient funds in the bank account. The best part about the offering is its instructors focus on areas where they excel. Rather than have an equity trader teach forex trading, Online Trading Academy ensures you learn for those who specialize in that area. More importantly, its prerequisite products come with a 14 day money back guarantee. Considering these are required before you can sign up for the advanced courses, the guarantee allows you to try the products risk-free without worry. However, make sure to read the refund policy to understand the exact details and give them a call if anything is unclear. We are not talking about $100 here that you get back or not. We talk about $5,000 and more, right? There’s a lot to like about Online Trading Academy. With its plethora of products, the site has something for traders of all skill levels. Moreover, with size comes attention. As one of the largest providers out there, Online Trading Academy has the track record and reputation to back up its offering. Our recommendation is to try the Free Investing Workshop. You have to take it to be eligible for any of Online Trading Academy’s advanced courses. By enrolling, you’ll get a sense of what the team has to offer and whether they can help you become a better trader. If you decide it’s right for you, then it’s easier to move on to the prerequisite courses. The Professional Forex Trader Course, Professional Options Trader Course, Professional Futures Trader Course, and the ProActive Investor Course each cost $5,000 but come with a 14 day money back guarantee. However, before making the purchase, contact Online Trading Academy directly to find out exactly what’s allowed and what’s covered within the money back guarantee. And again, please understand that $5,000 or even $15,000 is a word for trading education. There are many trading courses out there that are more affordable. ​1) Trade Ideas A.I. Pro – With a free live trading room, free webinars, ebooks, and artificial intelligence trading strategy development, Trade-Ideas provides top-notch services including automated trading and backtesting, that any investor can use for an affordable price. Make sure to read the Trade Ideas Review to learn more about Trade Ideas. ​2) Warrior Trading – Ross Cameron’s courses are cheaper, he’s offering a live trading room, and WarriorTrading is the only educator that publishes his bank account statements.